Fantasy Football drafts have started and Rookies could play a big part for Fantasy owners. There are a few intriguing options out there so take a look and let me know what you think! HERE ARE MY TOP ROOKIES FOR 2010. 1. Sam Bradford – St. Louis Rams – The First Overall selection in the draft could be starting immediately in St. Louis. As demonstrated with Matthew Stafford last year, there are bound to be some speed bumps in his inaugural season. Bradford is the future for a BAD team and probably won’t be relevant this year. 2. Jimmy Clausen – Carolina Panthers – Clausen may be holding a clip board all season depending on the play of Matt Moore. He does play for a solid team poised for a comeback this season but a Carolina resurgence will be due to the running game alone, not the passing game. 3. Tim Tebow – Denver Broncos – Tebow is a winner but it is unlikely that he will see a whole lot of playing time this season. Next year at this time we could be talking about Tebow as a potential QB sleeper, but not right now. Colt McCoy – Cleveland Browns – The Browns will rely on Jake Delhomme to carry the load this year – YUCK!!! McCoy will likely have to pass Seneca Wallace on the depth chart as well. He will start for the Browns, but not until the end of the season at the earliest. John Skelton – Arizona Cardinals – Derek Anderson was brought in just in case Matt Leinart fails. Skelton has potential, just not this year. 1. Ryan Mathews – San Diego Chargers – Ryan Matthews will be thrown to the wolves almost right away. There is no talk of easing him into the starting job, the Chargers plan on getting him significant touches right away. Darren Sproles will still be the third down guy, but figures to have the same role as in previous years. 250-300 touches in a high powered offense can be expected. That’s why he is going in the first round of many Fantasy drafts. 2. Jahvid Best – Detroit Lions – Kevin Smith is obviously not the man in Detroit. Injury woes prompted Detroit to trade up for Best. He may not start the season as the feature back but it won’t take long for the coaches to realize that he’s their best option in an emerging offense. Ben Tate – Houston Texans – Steve Slaton will likely be the feature back coming out of camp, but Tate is everything that Slaton is not – powerful and aggressive. Montario Hardesty – Cleveland Browns – Power Back that could be in for goal line carries right away. He may be the best runner on the roster. 1. Dez Bryant – Dallas Cowboys – He is big and fast and the one thing that he possesses over his competition (Roy Williams) is good hands. He’s playing on an elite offensive team that really WANTS to get him the ball. Bryant will be a factor! It may take a few games but when the coaching staff realizes that his size, speed and will can change games, he’ll be a legitimate Stud sooner than later. 2. Arrelious Benn – Tampa Bay Buccaneers – The Bucs lost their only real receiving threat in the offseason, prompting them to draft two WRs. Benn’s got size and speed and will likely be starting for the Buccaneers in the first week of the season. Tampa Bay will be trailing in most games forcing them to throw more than they want to. If quarterback Josh Freeman improves at all this season, Benn could be a steal. 3. Demaryius Thomas – Denver Broncos – Brandon Marshall is gone and Eddie Royal is terrible. That leaves the Broncos in need of a new star. Enter Thomas, who was drafted to be that guy. He appears to have a long way to go and with Kyle Orton or Tim Tebow throwing him the ball – expectations have to be tampered a little. But someone has to catch the ball for a team that will be playing catch-up in most games this season! Brandon LeFell – Carolina Panthers – The Panthers have been without a quality WR2 for an eternity, so LeFell has an opportunity. He’ll get a lot of snaps in the preseason because of Steve Smith’s injury, so he should be ready for Week 1 of the Regular Season. Golden Tate – Seattle Seahawks – There is a lot of competition in Seattle for receptions but Tate has impressed and could be a factor yet this season. Mike Williams – Tampa Bay Buccaneers – He should be starting at some point this season -the truth is that the Buccaneers have no other choice. His starting status is reason enough for you to keep an eye on him. 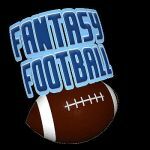 Dave B has been a Fantasy Football Junkie and Writer for Cappers Picks for 10 years. A couch potato wannabe, Dave’s insights have been read by 10’s of people for years. He hope’s for world peace + global relaxation. Enjoy folks – and remember only smoke things that are completely natural.